MapReduce is a processing technique built on divide and conquer algorithm. It is made of two different tasks - Map and Reduce. While Map breaks different elements into tuples to perform a job, Reduce collects and combines the output from Map task and fetches it. What is Mapreduce and How it Works? MapReduce is the processing engine of the Apache Hadoop that was directly derived from the Google MapReduce. The MapReduce application is written basically in Java. 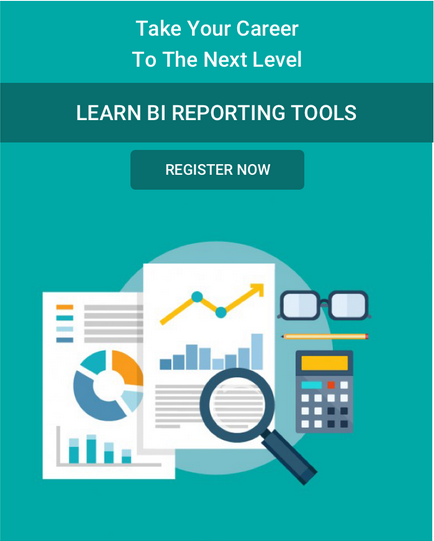 It conveniently computes huge amounts of data by the applications of mapping and reducing steps in order to come up with the solution for the required problem. The mapping step takes a set of data in order to convert it into another set of data by breaking the individual elements in to key/value pairs called tuples. The second step of reducing takes the output derived from the mapping process and combines the data tuples into a smaller set of tuples. MapReduce is a hugely parallel processing framework that can be easily scaled over massive amounts of commodity hardware to meet the increased need for processing larger amounts of data. Once you get the mapping and reducing tasks right all it needs a change in configuration in order to make it work on a larger set of data. This kind of extreme scalability from a single node to hundreds and even thousands of nodes is what makes MapReduce a top favorite among Big Data professionals worldwide. The entire MapReduce process is a massive parallel processing setup where the computation is moved to the place of the data instead of moving the data to the place of the computation. This kind of an approach helps to speed the process, reduce the network congestion and improves the efficiency of the overall process. The entire computation process is broken down into the mapping, shuffling and reducing stages. Mapping Stage: This is the first step of the MapReduce and it includes the process of reading the information from the Hadoop Distributed File System (HDFS). The data could be in the form of a directory or a file. The input data file is fed into the mapper function one line at a time. The mapper then processes the data and reduces it into smaller blocks of data. Reducing Stage: The reducer phase can consist of multiple processes. In the shuffling process the data is transferred from the mapper to the reducer. Without the successful shuffling of the data there would be no input to the reducer phase. But the shuffling process can start even before the mapping process has completed. Next the data is sorting in order to lower the time taken to reduce the data. The sorting actually helps the reducing process by providing a cue when the next key in the sorted input data is distinct from the previous key. The reduce task needs a specific key-value pair in order to call the reduce function that takes the key-value as its input. The output from the reducer can be directly deployed to be stored in the HDFS. Interested in learning MapReduce? Check the Intellipaat Hadoop MapReduce training! What is the problem that MapReduce is trying to solve? MapReduce directly came from the Google MapReduce which was a technology for parsing large amounts of web pages in order to deliver the results that has the keyword which the user has searched in the Google search box. It is very simple to write MapReduce applications in a programming language of your choice be it in Java, Python or C++ making its adoption widespread for running it on huge clusters of Hadoop. It has a high degree of scalability and can work on entire Hadoop clusters spread across commodity hardware. It is highly fault-tolerant and foolproof. Even when a certain node goes down which is highly likely owing to the commodity hardware nature of the servers, MapReduce can work without any hindrance since the same data is stored in multiple locations. The computation moves to the location of the data which is highly recommended to reduce time needed for input/output and increase the processing speeds. What is the scope of this technology? MapReduce brings with it extreme parallel processing capabilities. It is being deployed by forward-thinking companies cutting across industry sectors in order to parse huge volumes of data at record speeds. The whole process is simply available by the mapping and reducing functions on cheap hardware to obtain high throughput. The MapReduce is one of the core components of Hadoop ecosystem. Having mastery of how MapReduce works can give you an upper hand when it comes to applying for jobs in the Hadoop domains. Check these Intellipaat MapReduce top interview questions to know what is expected from Big Data professionals! What is the audience for this technology? How will it help in your career if you learn this technology? Hadoop deployment is extremely widespread in today’s world and MapReduce is one of the most commonly used processing engine of the Hadoop framework. So if you master this technology then you can get a high pay in your next job and take your career to the next level. If you are quite aware of the intricacies of working with the Hadoop cluster and are able to understand the nuances of the MasterNode, SlaveNode, JobTracker, TaskTracker and MapReduce architecture, their interdependencies and how they work in tandem in order to solve a Big Data Hadoop problem then you are well placed to take on high-paying jobs in top MNCs around the world. What are the advantages of learning MapReduce? There are many advantages of learning this technology. MapReduce is a very simplified way of working with extremely large volumes of data. The best part is that the entire MapReduce process is written in Java language which is a very common language among the software developers community. 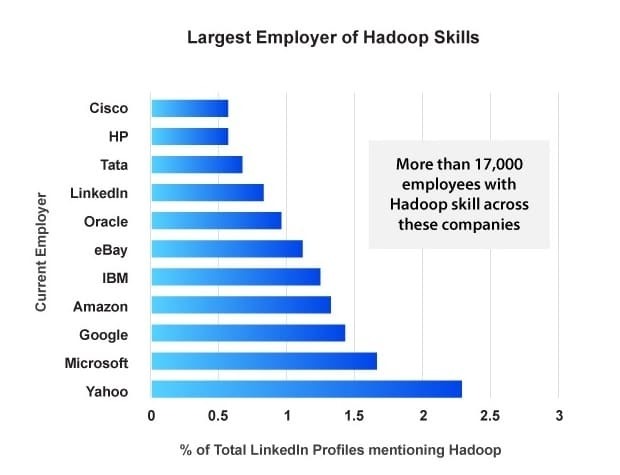 So it can help you in your career by helping you upgrade from a Java career to a Hadoop career and stand out from the crowd. So you will have a head start when it comes to working on the Hadoop platform if you are able to write MapReduce programs. 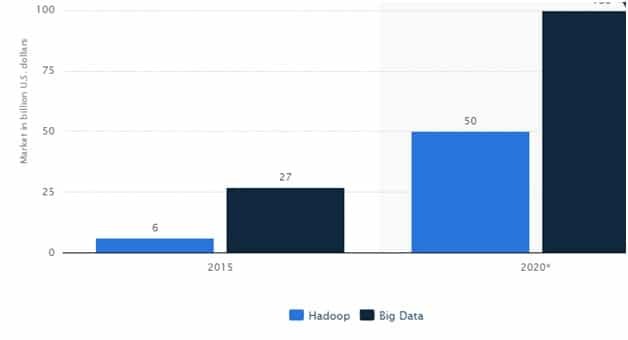 Some of the biggest enterprises on earth are deploying Hadoop on previously unheard scales and things can only get better for the Hadoop deploying companies. Companies like Amazon, Facebook, Google, Microsoft, Yahoo, General Electric and IBM run massive Hadoop clusters in order to parse their inordinate amounts of data. So as a forward-thinking IT professional this technology can help you leapfrog your competitors and take your career to an altogether next level. Read this informative blog to learn the tips to crack Hadoop Developer Interview! Previous What is Apache Spark?